Although the piano is her first instrument, her ability to write and play athletically demanding pieces for the lever harp and electric harp resulted in her being described as a virtuoso She is considered as contributing a whole new repertoire for the lever harp and electric harp with revolutionary techniques demanding of the highest skills. 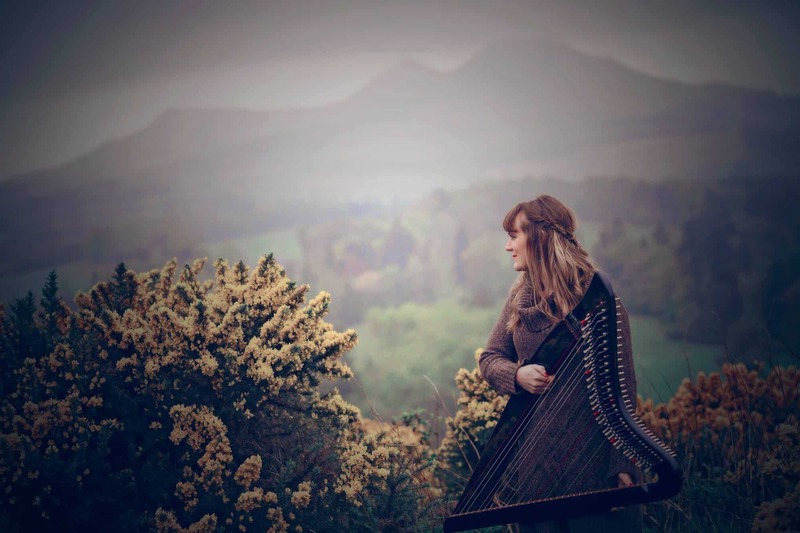 She has conducted masterclasses on the harp in many music academies and conservatoires including Le Conservatoires de Claude Debussy in France and is often a visiting teacher at the Royal Scottish Academy of Music and Drama. Phamie Gow’s reputation as being a captivating and entertaining performer has taken her all over Europe, to Canada, America, Latin America and China. She performed for the Dalai Lama on his visit to Britain and was presented with a prayer shawl by His Holiness after she played her ‘Stone Dance of the Chameleon’ written for the lever harp. She was invited by the celebrated pianist and composer Philip Glass to perform in The Carnegie Hall, New York City. Phamie performed centre stage her self penned composition “Dancing Hands” with a Lyon and Healy electric Harp (Chicago), and with the Patti Smith backing band accompanying her. She has also performed with renowned and diverse artists such as Philip Glass, Ray Davies (Kinks) Alan Stivell (France) Vincenzo Zitello (Italy) Bajaly Suso (Gambia, Africa) Sukhvinder Singh (Indian tabla guru) Eric Rigler (uillean pipes- Titanic, Braveheart) and Davey Spilane (Riverdance) Ashely McIsaac and Band of Horses.